Happy 2018 Alums! It’s hard to believe that it’s only February. 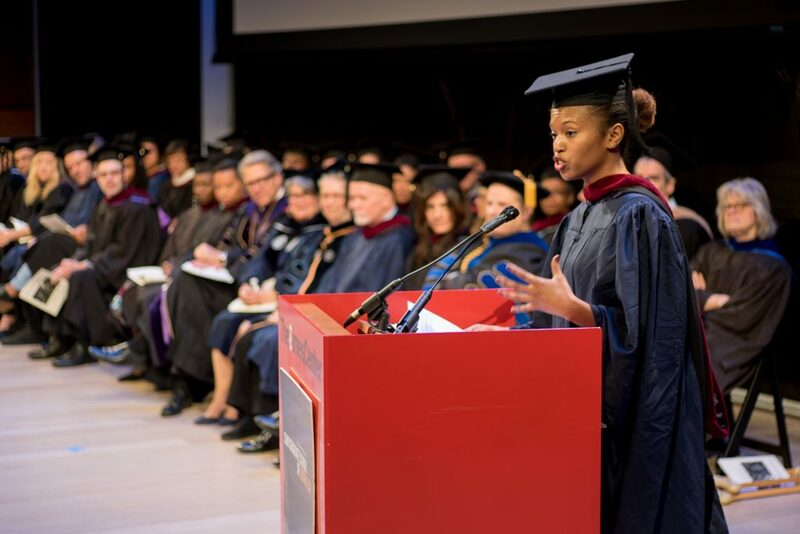 We have so much to share in this winter edition of our newsletter, including the latest career updates, accomplishments and exciting personal developments of our CUNY J-School alumni, faculty and staff. 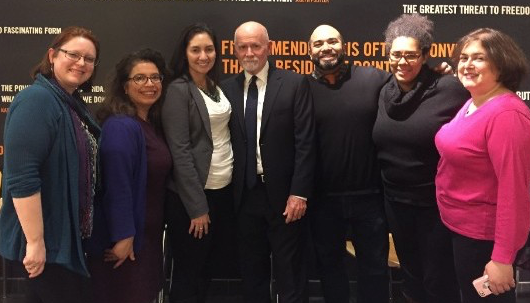 Since our last edition, we’ve celebrated the 10th anniversary of our original graduating class of 2007, welcomed the Class of 2017 to our alumni community, and bid farewell to a beloved member of our CUNY J-School family, Assistant Dean Stephen Dougherty, who retired in January. We also begin 2018 with a fantastic new alumni newsletter writer, Maritza Villela. Maritza is not only an alumnae fresh from our first Spanish-language Class of 2017, but she is my former college assistant and has worked on the digital newsletter from its start. Please don’t forget to save the date for our May 19th Alumni Homecoming celebration. More details to come. Associated Press, BBC Mundo, Bloomberg, Business Insider, CBS News Radio, CNBC, DCTV, Democracy Now!, Fort Worth Star Telegram, Italian newspaper: Il Sole 24 Ore, Money, NBC News Latino, The New York Times, Nova, NowThis, Pageant Media, People (Chica), ProPublica, QNS, Univision (Miami), Univision (New Jersey), VICE Media, Voice of America, Washington Post, WikiTribune and more. Simone Sebastian, ’10, now deputy America editor at The Washington Post, was the alumni speaker. Joy Notoma, ’17, represented her class as the student speaker. 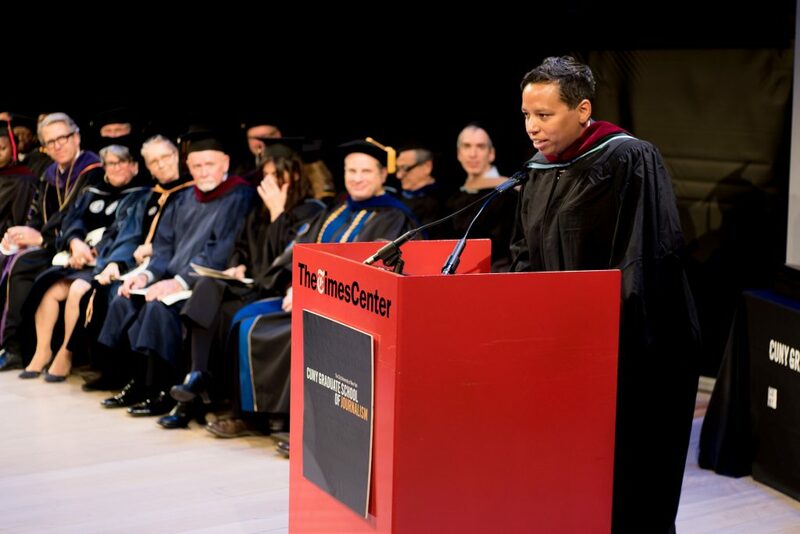 HuffPost Editor-in-Chief Lydia Polgreen gave the keynote speech. Check out more 2017 commencement ceremony moments here. 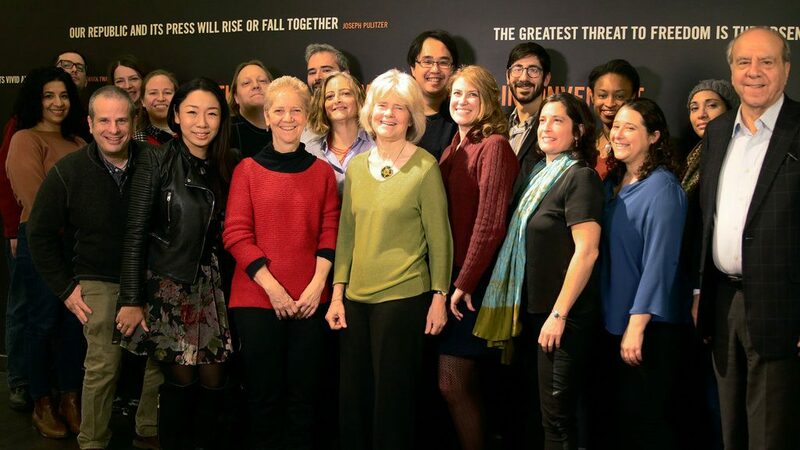 Left to right: Tanzina Vega, Joseph Gargiulo, Associate Dean Andrew Mendelson, Brigid Bergin, Emily Stoermer, Chika Osaka, Matt Safford, Dean Sarah Bartlett, Tim Catts, Nadia Zonis, Associate Professor Judy Watson, David Chiu, Megan Kelty, Dan Rivoli, Carolyn Nardiello, Angela Hill, Kate Pastor, Leslie Carabello and Founding Dean Stephen Shepard. Members of the inaugural Class of 2007 celebrated the tenth anniversary of their graduation with a brunch at the CUNY J-School on Dec. 16, 2017. Left to right: Director of Social Journalism Carrie Brown; Deron Dalton, ’15; and Naomi Yané, ’18. 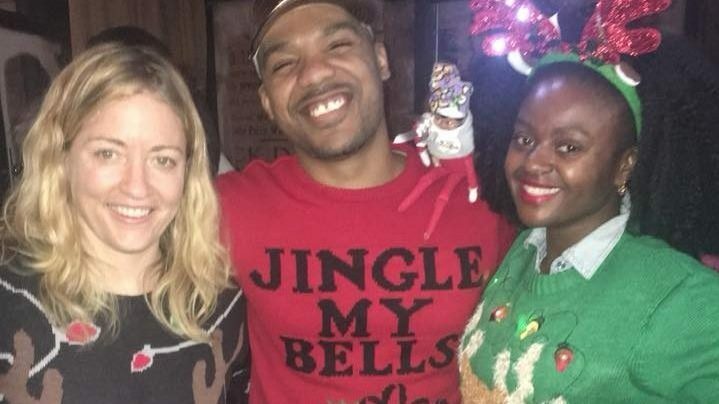 Alumni, students, faculty and staff showed off their holiday spirit at the first Ugly Sweater Contest on Dec. 12, 2017 at Printers Alley. Naomi Yané, ’18, was the lucky winner; Social Journalism Director Carrie Brown came in second; and Deron Dalton, ’15, landed in third place. Each took home a prize of a Printers Alley gift card. The 11th annual Awards for Excellence will take place on Wednesday, Apr. 11 at Cipriani 25 Broadway. The event will honor media and public service leaders and raise money for student scholarships. Mark your calendars for our 2018 Homecoming on Saturday, May 19, 2018 at the CUNY Graduate School of Journalism. Join Impact Producer Denae Peters of Film Sprout and Founder/CEO Deshuna Peters of kweliTV in a conversation on the distribution landscape for documentaries. The event, which will take place on Thursday, Mar. 1, 2018 at the CUNY J-School, is co-sponsored by the school and Third World Newsreel. Did you miss the J-School’s retirement celebration for Assistant Dean Steve Dougherty? Or do you miss him so much you’d like to bid him farewell again? Now you have the opportunity to join Steve at a special Alumni Happy Hour at Printers Alley (next to the J-School) on Thursday, Feb. 22, 2018. 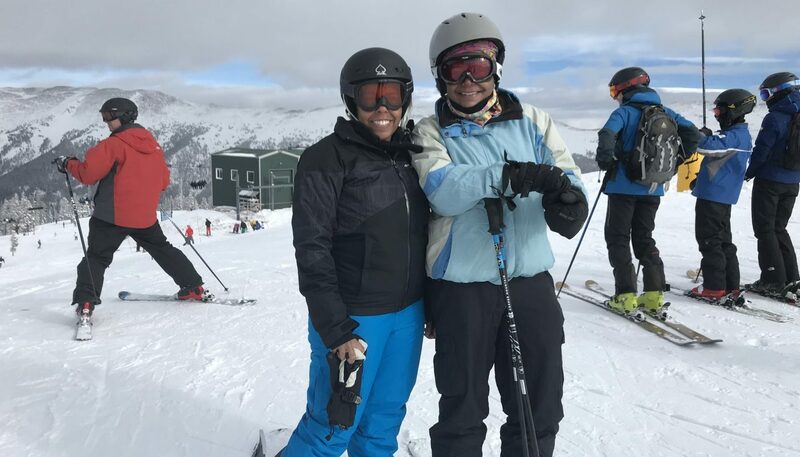 After five months working as a freelance contributing editor at Time Inc.’s “The Drive,” Althea Chang, ’12, welcomed the new year with a promotion to senior news editor. Anastasia Economides, ’09, joined MagnifyMoney as editor in December. She most recently worked as a homepage editor at NBC New York. Anna Teregulova, ’13, will be moving from New York City to San Francisco in March to join Google after working at Fortune magazine as a video producer. She will be an internal communications video and graphics producer for Google Cloud. Ben Levisohn, ’07, former stocks editor at Barron’s, accepted a new position as the newspaper’s markets managing editor, where he is overseeing the financial markets coverage. After his internship at Fathom Information Design in Boston, Brandon Shaik, ’16, joined Harvard as a teaching fellow in January. He’s instructing a design course at the School of Engineering and Applied Sciences. Damian Geminder, ’15, helped oversee the launch of WomenDeserveBetter.com, a resources website dedicated to helping women in need. Since the site’s launch last summer, Geminder has been serving as editor and media coordinator. Danielle Valente, ’13, joined Time Out New York Kids in January where she will be associate editor in charge of digital, print and social media. She was previously a news editor at Elite Daily. After a year of fellowships, one at the National Catholic Reporter and the other at the White House Photo Office, George Goss, ’16, started a fulltime multimedia journalist position in February with the Catholic Herald in Arlington, VA.
Janae Hunter, ’16, kicked off 2018 with a promotion to associate producer at NY1. Jose Bayona, ’11, joined the NYC’s Mayor’s Office as director of community & ethnic media after working as press secretary at the NYC Administration for Children’s Services. Katelyn Gillum, ’16, will be traveling the world as senior community specialist for Meetup. She will be visiting 12 cities in 12 months, working on building relationships with Meetup organizers and learning about community building in different cultures. Maggie Freleng, ’15, is now the producer at large for NPR’s “Latino USA.” She is working on reporting projects across the country with host Maria Hinojosa. She was previously an assistant producer at WNYC. Maria Fraschilla, ’17, is working as a social media manager/assistant editor at the New York Athletic Club. Previously she worked at Daily Burn, Fillmore Real Estate, Harbor Fitness and New York Road Runners, all with social media and digital marketing roles. Mariana Marcaletti, ’14, just moved to Buenos Aires, Argentina to begin her new role as editorial director at TKM, a millennial news site. She was previously a Senior Editor at CNET en Español in San Francisco. Marguerite Ward, ’15, accepted a new role as editor and writer for The Today Show’s digital team, where she will lead TODAY.com’s coverage on Sundays. Mallory Moench, ’17, started a job as legislative relief reporter for the Associated Press in Montgomery, AL. Matthew Safford, ’07, became the managing editor for the technology enthusiast and news site Tom’s Hardware in January. He is working with the team of hardware experts to produce, edit, and publish content. Safford was previously a senior editor at digital media company Ziff Davis. Melissa Bykofsky, ’12, started a new job in December as digital senior editor for Parents.com. She was previously senior editor at Redbook and Woman’s Day magazines. A year after beginning his winter internship at Bloomberg and nine months after being hired as a reporter for the investment team, Nico Grant, ’16, is headed to San Francisco as enterprise technology reporter. Philip Clapham, ’16, was hired for what he describes as his “dream job” as senior communications officer at the International AIDS Society in Switzerland. He is a former press officer for Planned Parenthood Federation of America . Teddy Grant, ’17, was hired as a writer for Ebony’s digital team, where he will be covering politics, culture, entertainment and business-related news. In addition to his role as investigative reporter and anchor for the CBS affiliate station in West Michigan, WWMT, Walter Smith-Randolph, ’10, is excited to be sharing his knowledge with aspiring journalism students as an adjunct instructor at Western Michigan University in Kalamazoo. Yudith Ho, ’11, is moving to Kuala Lumpur in March as Malaysia bureau chief at Bloomberg News. Before that, she was a breaking news editor in Jakarta. *Joy Notoma, ’17, chosen by her class to be last year’s commencement speaker, is the winner of the Newsweek Alumni Prize. *Mallory Moench, ’17, has been selected by the Sidney Hillman Foundation to receive the Sidney Hillman Social Justice Reporting Prize. *Lisa Riordan Seville , ’10, and Hannah Rappleye, ’10, won the Stephen B. Shepard Prize for Investigative Reporting. *Will Mathis, ’17, an intern at Bloomberg, is the winner of the Frederic Wiegold Prize for Business Reporting. Congratulations as well to three alums who were selected for the 2018 SABEW Goldschmidt Fellowship: Andrew Welsch, ’13; Alessandra Malito, ’14; and Mark Fahey, ’14. They were among the 22 business journalists selected by The Society of American Business Editors and Writers for the five-day SABEW Goldschmidt Data Immersion Workshop, which took place Jan. 18-20, 2018 in Washington, D.C.
Anika Anand, ’12, was selected for the 2018 Poynter Leadership Academy for Women in Digital Media, which had more than 600 applicants for only 28 slots. She is the cofounder of The Evergrey, a daily email newsletter that helps Seattleites feel more connected to their city, and the storytelling director of WhereBy.Us, a media startup in Miami and Seattle that helps people connect and engage in their cities. Anne Lagamayo, ’13, released her three-part CNN documentary series called “Beneath the Skin.” It took a year to make and led to reopening the case of 19-year-old Roshad McIntosh, who was shot to death by Chicago police in 2014. Chris Dell, ’13, is a contributing author for “Media Innovation & Entrepreneurship,” the first edition of a modular open textbook designed for entrepreneurial journalism, media innovation and related courses. 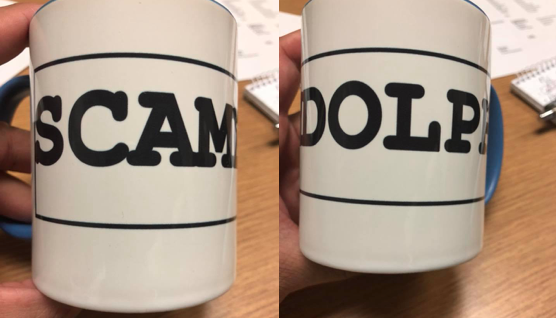 Dell also hosts and produces the podcast “Go Baller FFS” – Family Feud Sports. And last summer, he launched www.officialbuckshot.com, which serves as a hub where independent artists, influencers and creators can upload content and work with top executives and producers in the music industry. Christopher Inoa, ’16, recently wrote two stories for Syfy Wire, one a profile on Jean-Claude Van Damme and the other on Wesley Snipes. Inoa has been working as a freelancer for the past year. Heather Martino, ’13, produced and directed two DACA videos for Teen Vogue. One video shows young DACA recipients talking about what it really means to be an American and the other is about the common misconceptions about DACA. Martino is a freelance filmmaker who made her directorial debut with this project. Jeanne Pinder, Tow Knight, ’10, was named a “Wow-Worthy Changemaker” and a “Health Hero” at O, the Oprah Magazine for her work at ClearHealthCosts. Joaquin Cotler, ’16, Michael O’Brien, ’16, and Stephanie Daniel, ’16, were awarded the Marguerite Casey Foundation Journalism Fellowship for their NPR’s Latino USA audio episode “The Hole.” The report examines the effort to fight heroin use among Puerto Ricans in the Bronx borough of New York City, as well as treatment efforts in Puerto Rico. Digital Producer for VICE News Kathleen Caulderwood, ’13, produced and shot videos for a massive investigation, Shot by Cops and Forgotten, that found police shoot Americans more than twice as often as previously known. Caulderwood spent nine months traveling around the country interviewing police-shooting survivors for the piece. Kristine Villanueva, ’17, made MediaShift’s inaugural MetricShift20 list for her work examining engagement metrics for a project on underground music in New York City. Megan Cerullo, ’16, wrote an article for New York Daily News titled “Clowns are doing what FEMA didn’t in Puerto Rico — giving people a reason to smile again.” It talks about how professional clowns are spreading cheer across Puerto Rico following Hurricane Maria in September. Melissa Noel, ’12, produced a multimedia series focused on migration issues and its impact on Caribbean families for NBC NEWS. On Feb. 23, she will be part of BEYOND THE BARREL : Sharing Our Stories of Migration & Separation, an interactive exhibition, panel discussion and short film screening on parental migration. Musikilu Mojeed, ’10, captured first place in the Global Shining Light Awards at the Global Investigative Journalism Network Conference in Johannesburg in November. His investigation on extrajudicial killings of a minority ethnic group in Nigeria beat more than 200 entrees from around the world. A year after moving back to his home country of Brazil and working as a consultant for digital newsrooms, Pedro Burgos,’15, is now an ICFJ Knight Fellow. He is working on a project measuring the impact of newsrooms in Brazil. Called Impacto, it is funded by Google News Lab. He was also nominated as “leader in digital metrics” by MediaShift, along with fellow CUNY J-School alum Kristine Villanueva, ’15. Selly Thiam, ’11, was a repeat panelist at the Global Investigative Journalism Network Conference in Johannesburg, where she spoke about her groundbreaking NGO, None on Record – Stories of Queer Africa, a digital media organization that documents stories of LGBTQ Africans. Simon Galperin, ’16, launched a nonprofit project that he developed with support from Jeremy Caplan and Carrie Brown during his time in the Social Journalism Program. It’s called Community Information Cooperative (CiC). He also made MediaShift’s list of top digital media innovators. Sabrina Gordon’s latest film, QUEST, garnered three Cinema Eye Honors nominations and two Independent Spirit Award nominations, including Best Documentary. The film had a theatrical run around the country and is now available on iTunes. Sabrina is a 2016 Social Journalism graduate and a member of the CUNY J-School adjunct faculty. Steve Pacer, ’08, will be releasing his first novel, “If He Only Knew,” on Apr. 2, 2018 via the publisher NineStar Press. Pacer describes the book as a hometown/family drama with some romance elements, written in a tone similar to a “beach read.” He’s been working as the online communications coordinator at the law firm Goldberg Segalla for the past three years. 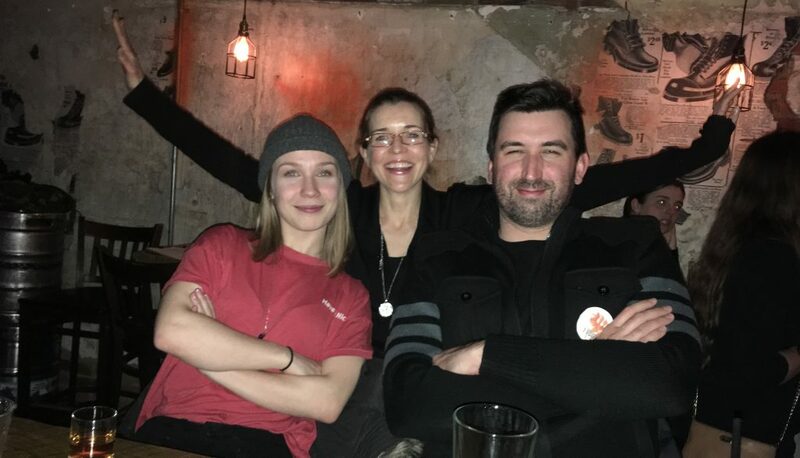 Shannon Firth, ’12, organized a happy hour for D.C. alums on Dec. 13, 2017. She was joined by Lisa Thomson, ’16, and Justin Mitchell, ’12. Not pictured: George Goss, ’16, and Stephen Jefferson (Tow-Knight). 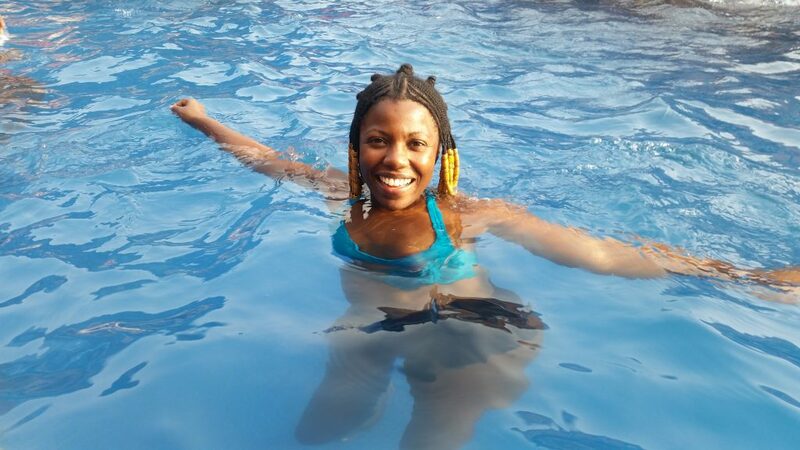 Joy Notoma, ’17, hit the pool to escape the heat in Benin where she will be freelancing until April. 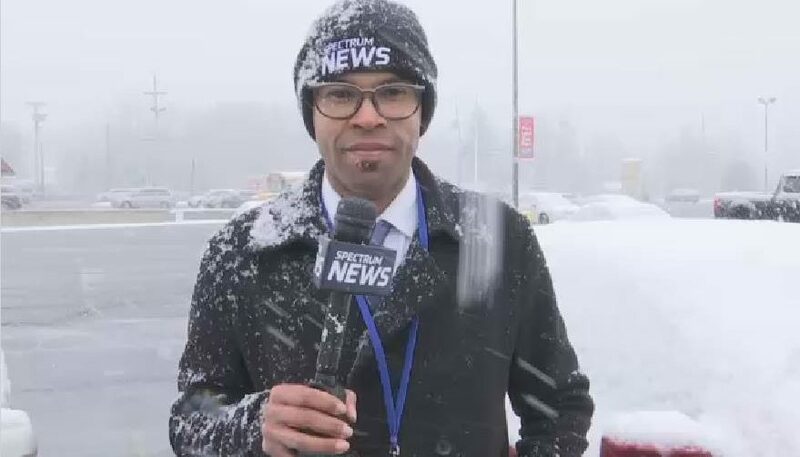 Orie Givens, ’13, reported on the first major snowfall of the season from New Windsor, NY for Spectrum News Hudson Valley. Students, alumni, faculty and staff got together for a celebration reception and toast for Steve Dougherty’s retirement on Jan. 24. Left to right: Christa Noelle, Marisa Osorio, Colleen Leigh, Stephen Dougherty, Max Patiño, Yahaira Castro and Lili Grossman. 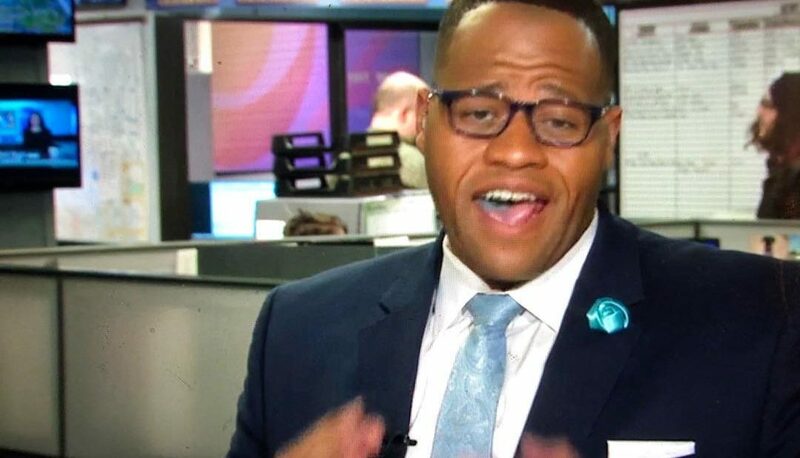 Walter Smith-Randolph, ’10, learned a wise lesson: no blue candy before going on air. 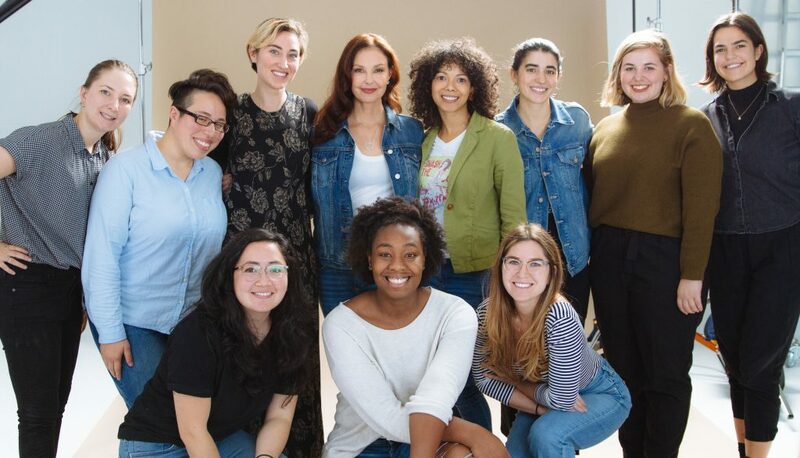 Heather Martino, ’13 (bottom right), with the Teen vogue crew and actress Ashley Judd (top middle) for their shoot about the #MeToo movement and her sexual harassment allegations against Harvey Weinstein. 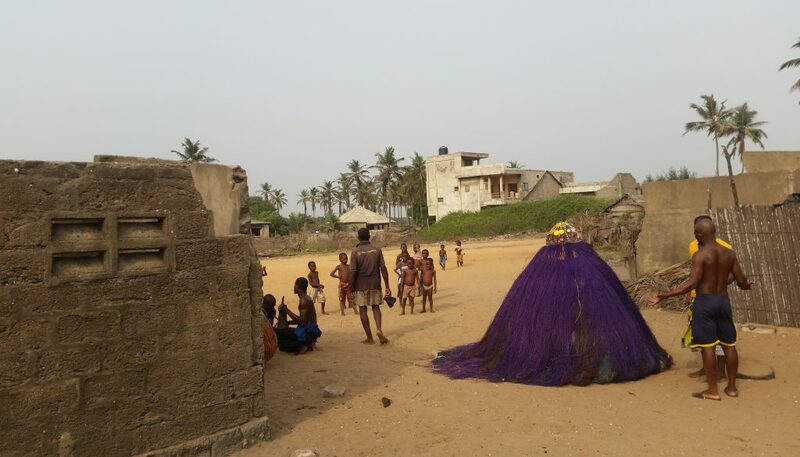 Joy Notoma, ’17, took this picture of a purple vodun diety called Agninon on a beach in Adounko, Benin. 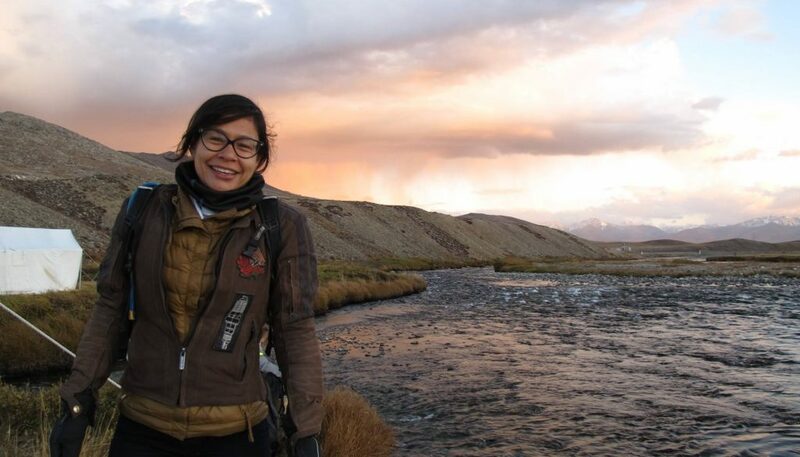 Tiffany Camhi, ’13, wrapped up an all-women motorcycle tour of Northern Pakistan last fall. 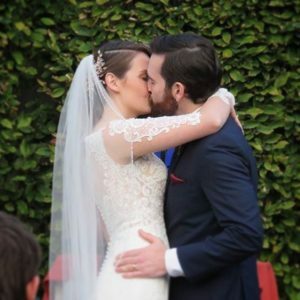 Brianne Barry, ’13, and Kevin Mooney tied the knot on Nov. 4, 2017 at the Roundhouse in Beacon, NY. 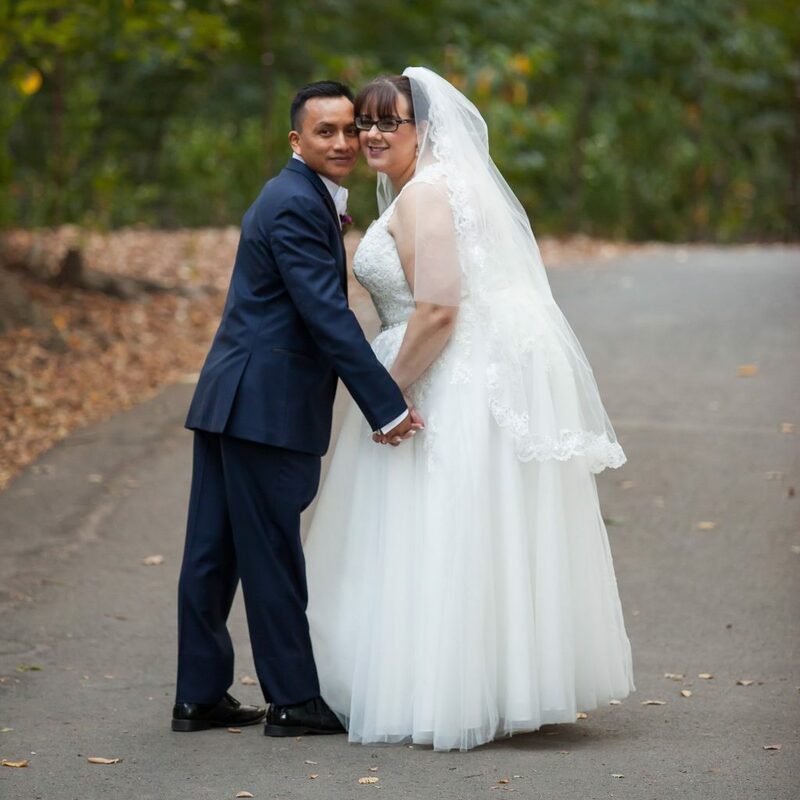 Library Manager Tinamarie Vella married Santos Tian Vasquez on Sept. 30, 2017 at Saint Athanasius Church in Brooklyn. Their reception was held at the Picnic House in Brooklyn’s Prospect Park. 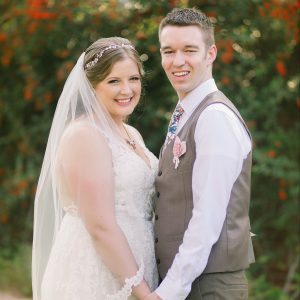 Nicholas Forrester, ’14, married Jenna Pergande on Nov. 4, 2017 in Georgetown, TX. Kirsti Itameri, ’11, married Zaid Saleh on Aug. 26, 2017 in Sahl Hasheesh, Egypt. Jackie Linge (back right) and her team of journalism students last November when they won the Newsies competition. Jackie Linge, ’09, didn’t follow a traditional journalism path after CUNY J-School. She had a baby right after graduation, freelanced for a while at places like Democracy Now and NBC News, and applied to NYC Teaching Fellows to become a teacher. Assigned to Francis Lewis High School in Queens, she was surprised that one of the largest public high schools in NYC did not have a journalism program. So she decided to start one. Now in its third year of operation, the three-year program has recently won a spate of awards. She also just won the Journalism Educator of the Year award from the Deadline Club. 1. What inspired you to start a high school journalism program? When I started teaching at Francis Lewis, I was surprised to see there were no journalistic outlets, given that we had over 4,000 students in our community. There had been previous attempts to start a newspaper, but they never worked out. I proposed a three-year journalism program, where students could learn how to report stories through multiple means of expression, including writing, video, photography, and audio. Thankfully I got the green light, and the Journalism Academy was born. I developed curriculum and ran a fundraiser to get technical equipment, including DSLR cameras and Zoom recorders. We’re now in our third year of operation, and it’s going well. 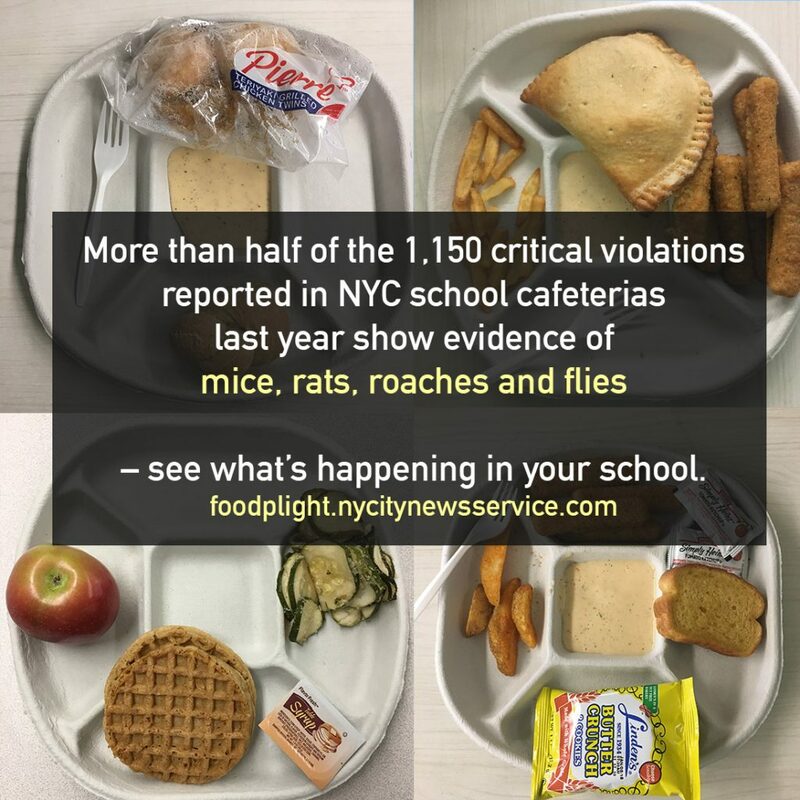 We recently won several awards at the Newsies, New York City’s high school journalism competition. We even had some CUNY J-School alums visit the school as guest speakers. 2. 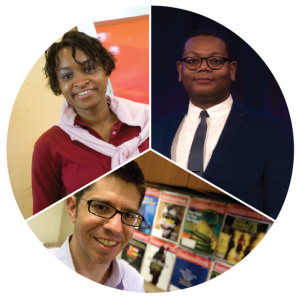 What did you learn at CUNY J-School that helped you overcome challenges when building this program? My biggest challenge was not having funds when this all started. We had no budget and no money for an actual paper, so I bought a URL with my own money, found a host, and installed a free WordPress theme. That is something I learned how to do at the CUNY Journalism School. 3. What's the next step in your career? For now, it’s to keep building this academy, to pursue important stories, and to keep developing curriculum and lessons that are engaging and allow our news outlet to grow. We’re hoping to add a news broadcast as well, which will play on television screens throughout the school. It takes time, given our limited resources, but we’ll get there. International Reporting instructor Azmat Khan aired a follow up to her NYTimes investigation with Anand Gopal that found the U.S. battle against the Islamic State may be the least transparent war in American history, with civilian deaths occurring at a rate more than 31 times more than acknowledged. On the Nov 29th edition of The Daily, she reported that $5 million set aside for the families of civilian casualties in the war has gone untouched. Last fall, Bob Sacha and Matt MacVey worked with Knight Foundation, Google News Lab, Online News Association and students from the Classes of 2017 and 2018 to bring 360 video to small community news outlets in NYC. In the semester-long 360 video class, NYC ethnic media organizations were paired with teams of graduate students to produce stories about their communities. 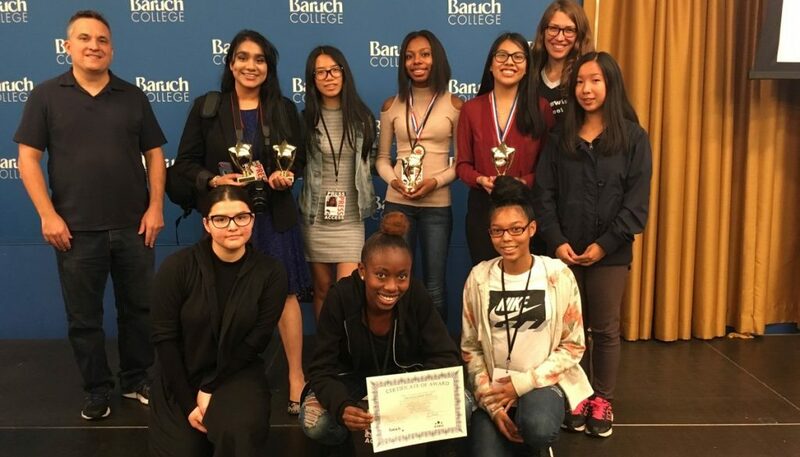 “I felt the students would benefit from working with a media partner that was deeply embedded in the community, and the partners would benefit from working with students who had made several experiments with the technology and had access to resources,” said Sacha. Social Journalism Director Carrie Brown is serving on the steering committee at Gather, a community of practice around journalism engagement for reporters, editors, students and educators. Lisa Armstrong, left, in Haiti in 2011. Photo credit: Andre Lambertson. Associate Professor Lisa Armstrong wrote an essay for Rolling Stone about her experience reporting in Haiti and Africa in response to President Trump’s derogatory comments about those countries. NBC News used pathchartr, a new tool Sandeep Junnarkar and Jere Hester developed to help journalists quickly create code-free question-and-answer-driven interactives, for a report on bias in Olympic figure skating judging. Alum Emily Siegel and adjuncts Andy Lehren and Mary Pilon worked on the story. Junnarkar and Hester are encouraging journalists to try the free tool and welcome feedback. Since 2006, the CUNY J-School has trained hundreds of storytellers. Make your scholarship donation today. Any alum interested in serving on the J-School’s standing Diversity Committee should email Committee Chair Joanna Hernandez at joanna.hernandez@journalism.cuny.edu.The committee, which meets once a month, monitors the school’s efforts to recruit a diverse student body, faculty and staff and promote an atmosphere of tolerance and free expression. 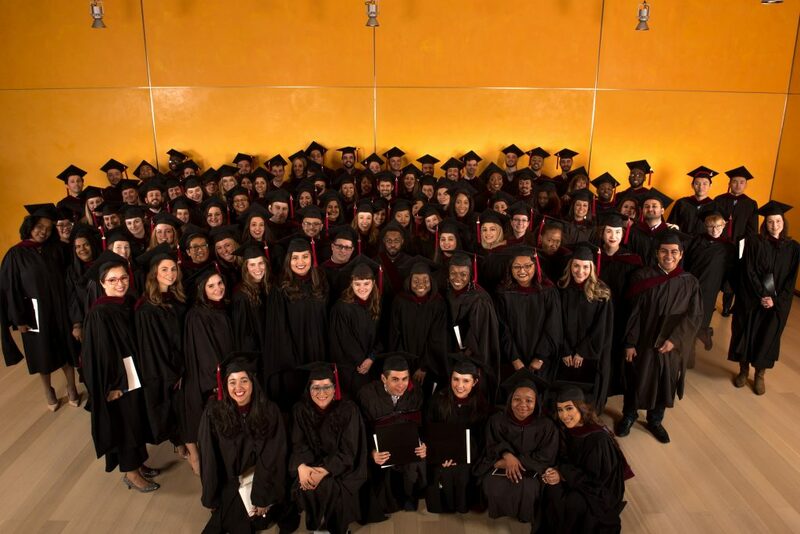 The CUNY J+ Professional Development Program offers alumni 50% off its digital skills workshops using code ALUM50. 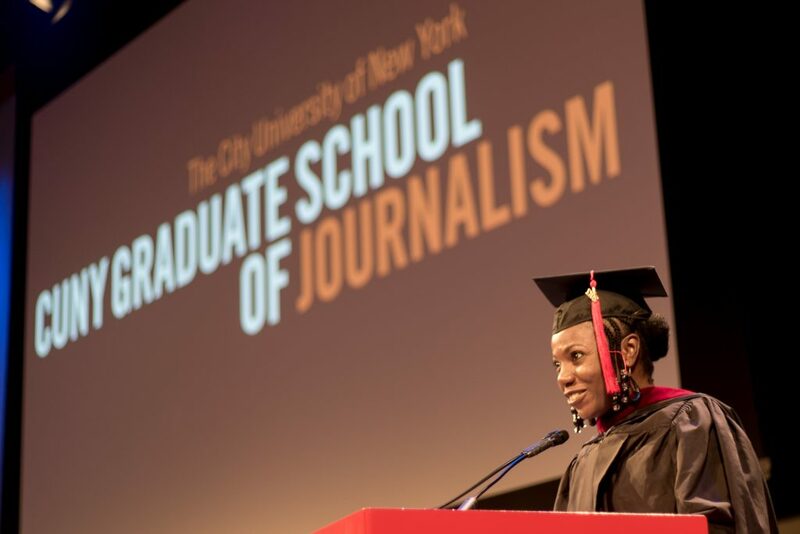 Visit https://www.journalism.cuny.edu/professional-ed/ for more details on its offerings. Chief Librarian Barbara Gray reminds alumni to check out the Research Center’s online resources. Alumni interested in promoting their work should notify Social Media Marketing Manager Ellen Lai. Please send ideas, pitches, videos, photos and links to ellen.lai@journalism.cuny.edu. And don’t forget to follow us on Twitter, Facebook and Instagram.